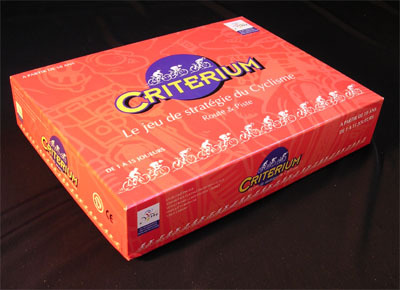 Yet another 90's French game. This one offers a reversible board. 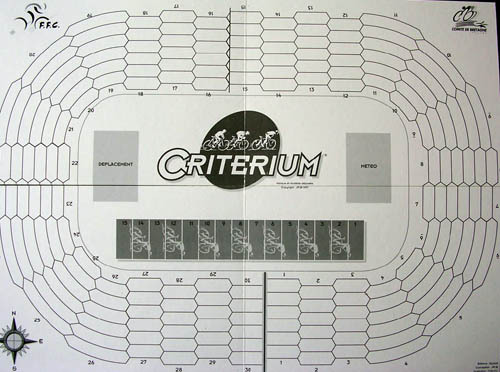 On the colored side there is a road circuit, on the black and white side we find a track. 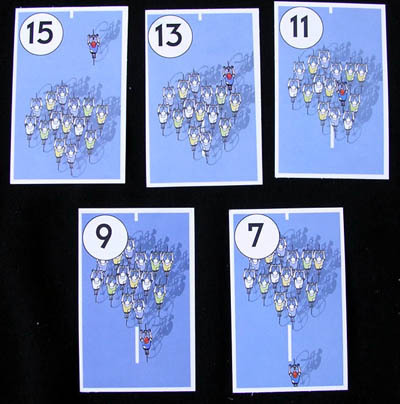 The game includes 15 big plastic cyclists and 280 cards. 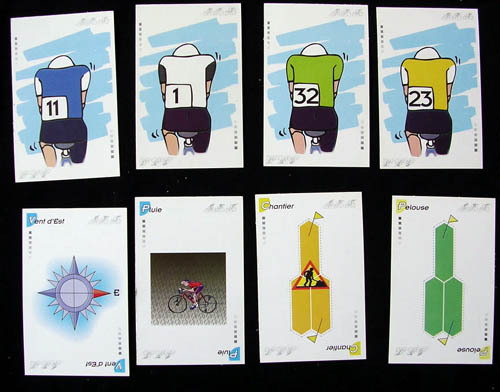 According to the designer, this game (subtitled "Le jeu de stratégie du cyclisme") is recommended by the Fédération Française de Cyclisme. We wouldn't recommend it so much, at least from the strategical point of view. 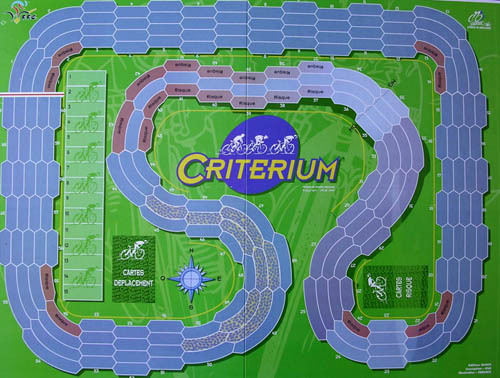 Although it is ambitious, in the sense that it tries to reproduce all the circomstances of a real cycling race (including weather! ), in the end it turns out to be just another chance game. 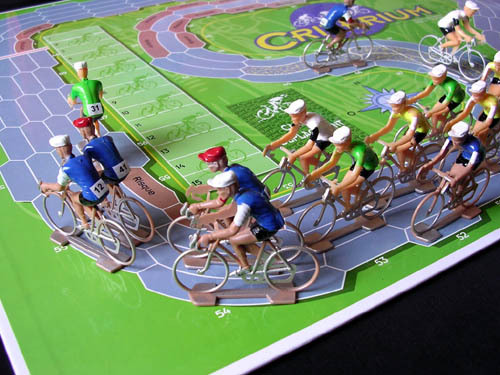 Nevertheless, if you are not looking for a deeply strategical game and you just want to have some fun, you can try this one. At least this one is available! 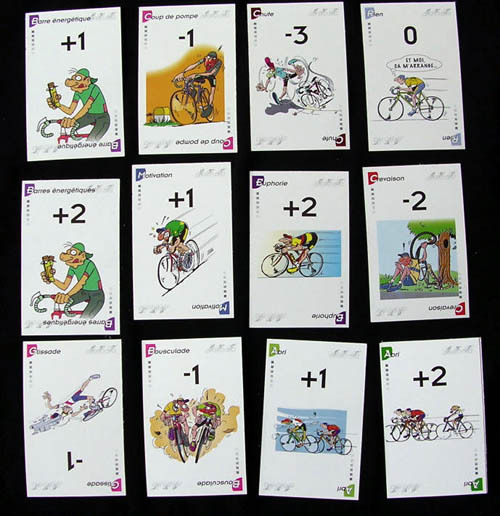 Lots of cards, in fact!